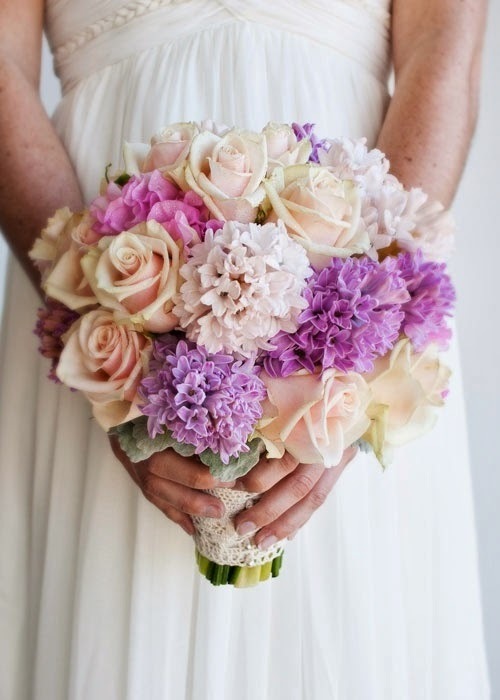 Summer is the best time to get married if you're looking for the lushest and fullest bouquet of fresh flowers you can find! It's always easier and more economical to obtain flowers that are in season. And summer is the best time for fresh cut flowers! Leave the silks and artificial flowers for the cold month weddings because you have an abundance of beauty at your fingertips! Take advantage of the season's bounty. 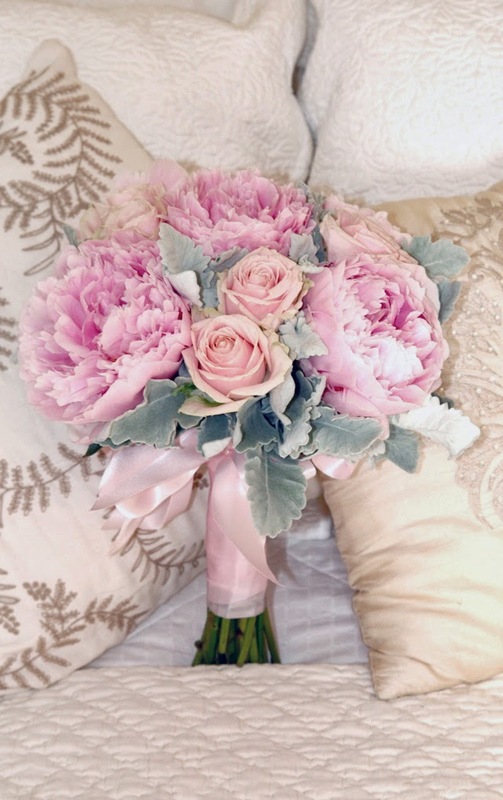 What's even more special about these beautiful blooms is that they offer such lovely sentiments. 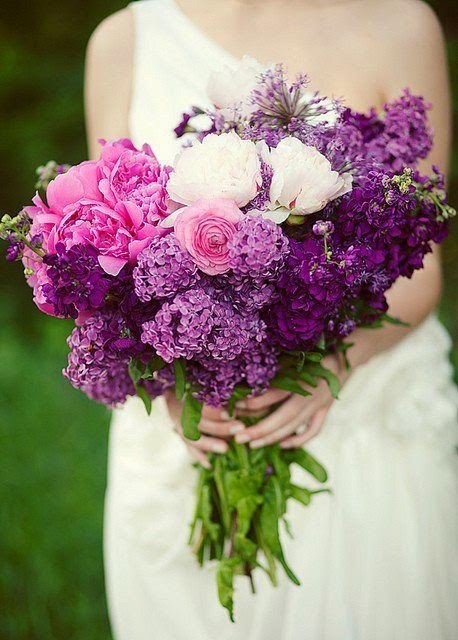 Flowers have meanings, and you can choose to use your bouquet to make a statement with them, or you can just enjoy their beauty and go with what looks appealing to you. Either way, it's OK because it's your day! But if you do choose to put a message in your arrangement, you'll find this season's flowers to offer the sweetest notions. 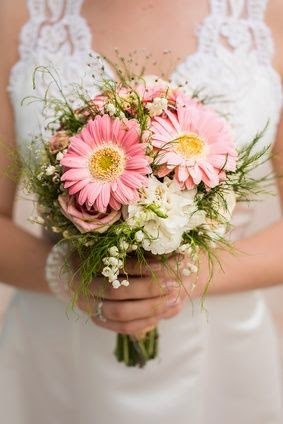 Here's a breakdown of the most popular summer wedding flowers and their meanings to help you plan the perfect bouquet. The most traditional of all floral arrangements that are romantic in nature and also one of the best scented too, the rose means love, joy, and beauty. No wonder they're so popular with weddings! 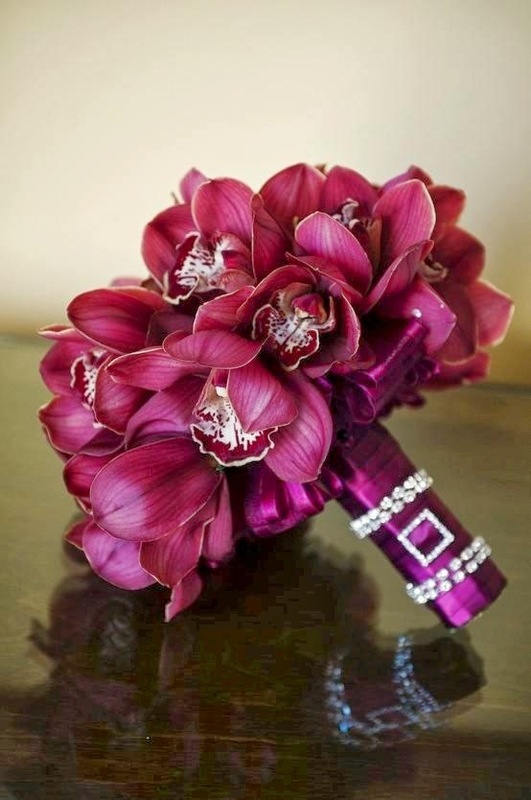 They look perfect in any bouquet, not to mention corsages, boutonnières, and centerpieces. They're breathtaking by themselves or mixed with other flowers. They come in many colors and varieties as well. 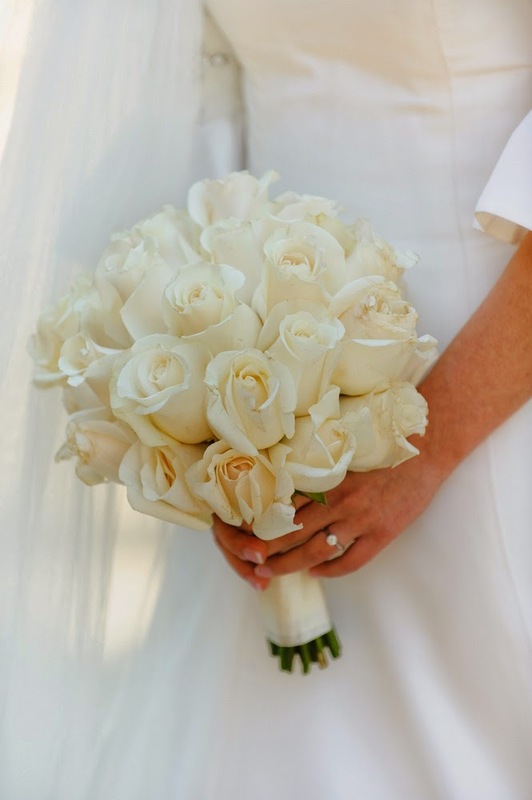 It's easy to see why roses are probably the most popular and most familiar to us for wedding arrangements. 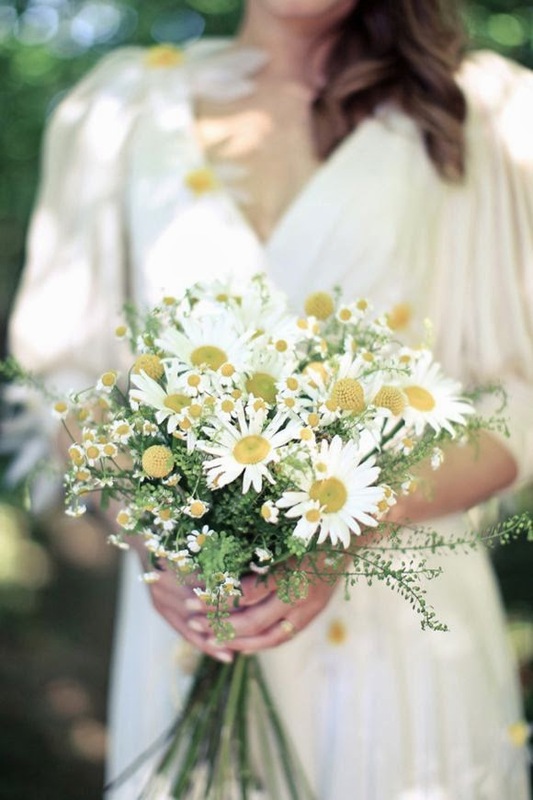 Fresh and simple, the daisy offers a child-like innocence to your wedding bouquet. They almost evoke images of playing make-believe bride with a ring of them in your hair. They're a great filler to complete an arrangement with other flowers. 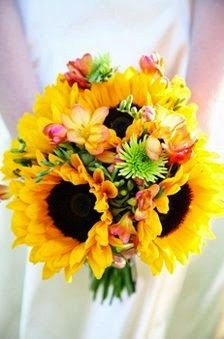 Or gerber daisies can be the focal point of your bouquet, as they are available in so many vibrant shades. These romantic darlings mean "share your feelings". This is also an appropriate sentiment for a wedding day, if you're planning to take part in this tradition. Nothing says summer like a sunflower! They're bold, they're sunny, and they're striking. They make a great focal point to a bouquet, but also work splendidly in a centerpiece or free-standing arrangement because of their size and long sturdy stems. It's easy to see where they get their meaning of "adoration" because it's so easy to adore their versatility and beauty! 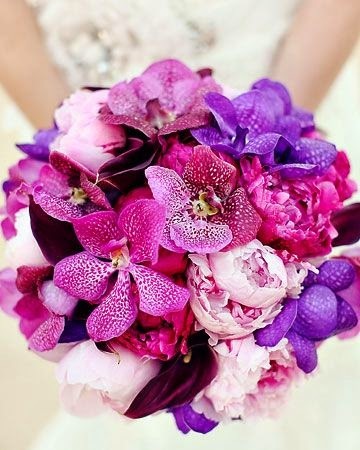 Orchids are one of the most traditional bridal bouquet components. 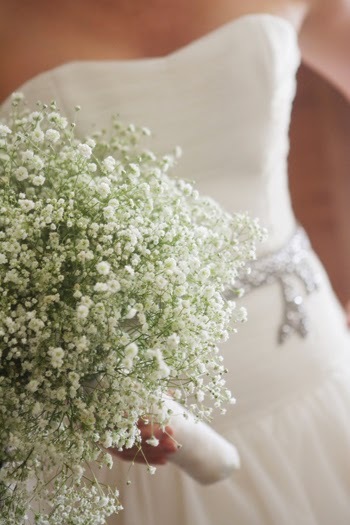 They're elegant and soft and look like they were created just for brides! 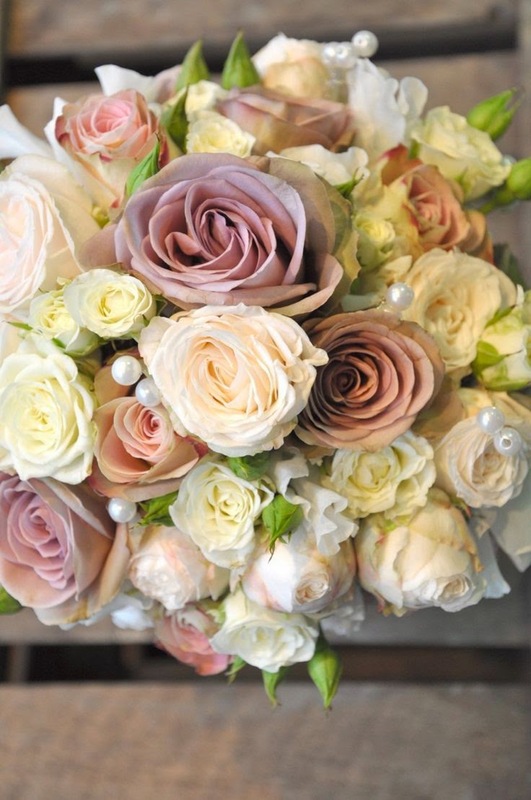 Meaning "beauty" and "love" it's certainly easy to think they exist almost exclusively for your bouquet. There's no other flower with a more distinct and enjoyable aroma as the lilac. 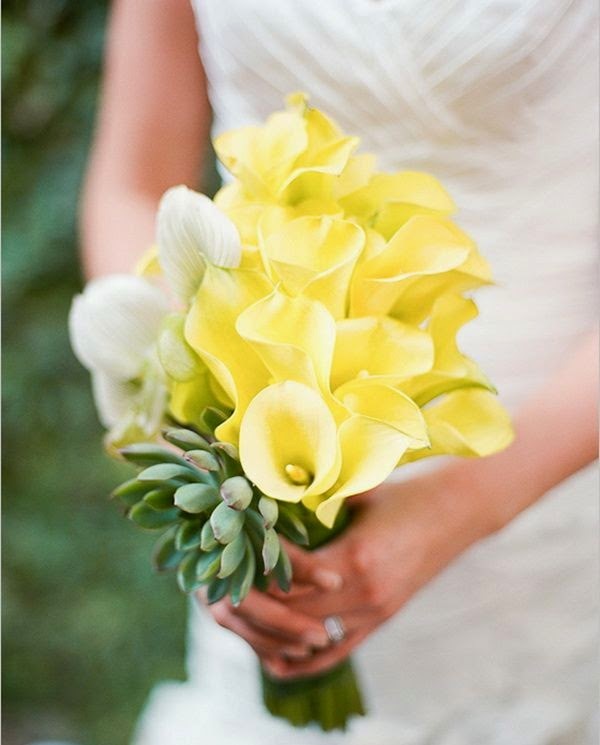 With their soft and fresh appearance, they're a very popular complement or focal point to a wedding bouquet. And who wouldn't enjoy a handful of these for the day? With a meaning of "love's first emotion" don't they evoke the best feelings for a wedding day? They're perfect! 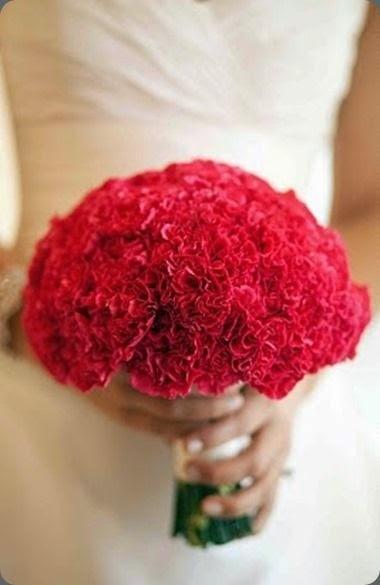 Carnations are a long-time popular wedding flower. They make great fillers, they're inexpensive, and they are available in a variety of shades and colors. Their meaning is mostly contingent on their color. For example white carnations mean "talent", pink means "bold", and red means "love". Carnations are most commonly used in wedding bouquets because of their appearance and because of their vibrant color varieties. These stylish beauties have really gained popularity over the last decade. 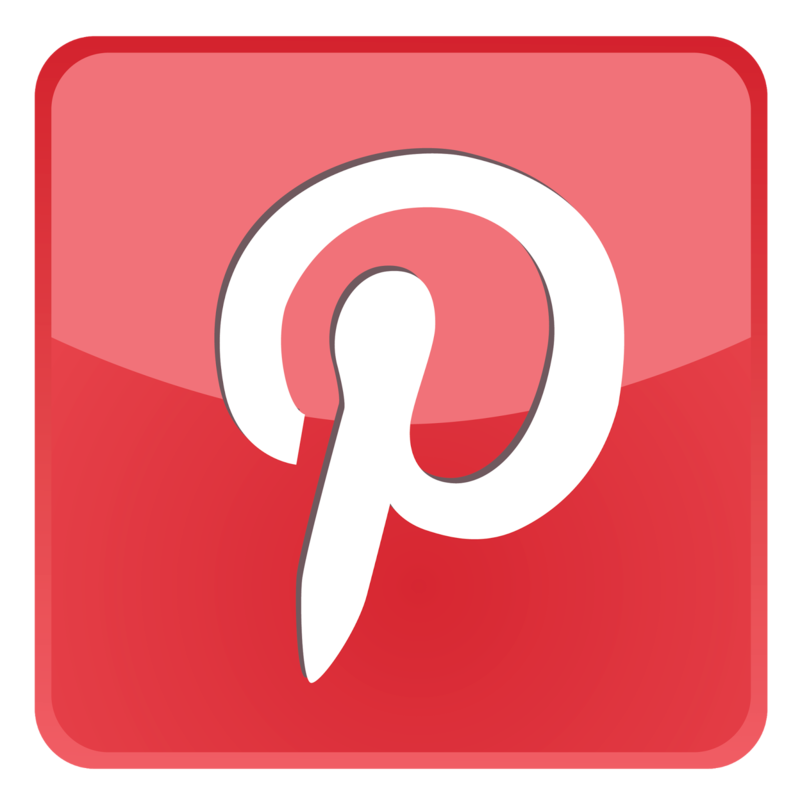 They're so stylish and modern-looking that they're used in everything from the bride's and bridesmaids' bouquets to centerpieces and arrangements. They offer an opportunity for asymmetry and eclectic design to whatever piece they complement. They mean "magnificent beauty", which is entirely appropriate considering the style and grace they offer us. 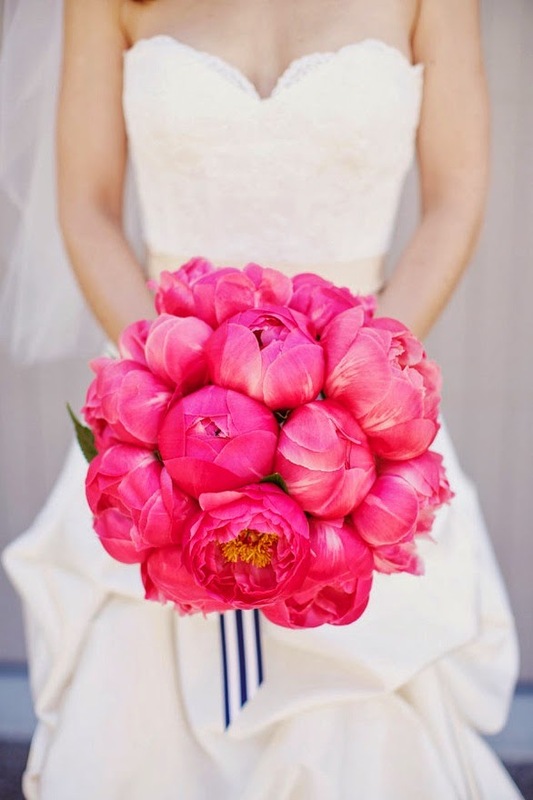 Peonies mean "bashfulness", but you won't be bashful about stealing a whiff now and then when these join your bouquet! The peony smells so sweet and looks so soft, it's easy to see where they get their meaning. 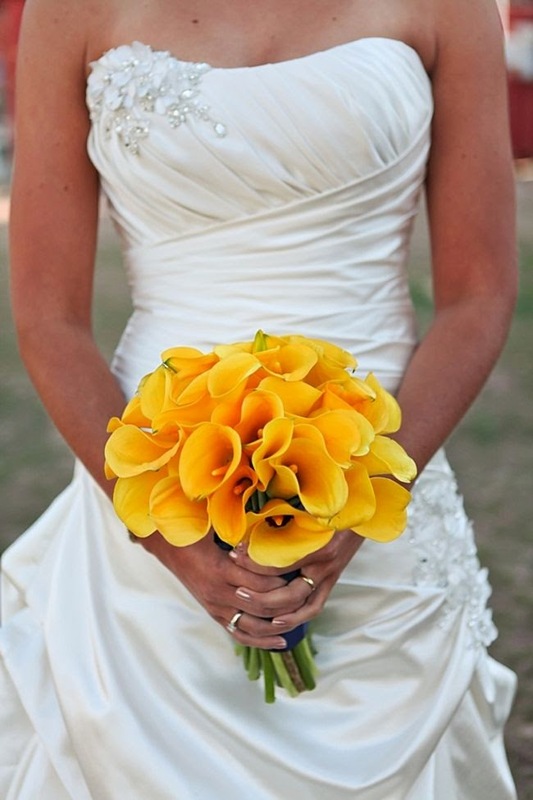 They're a large flower that can easily be a center or focal point to your bouquet or arrangement. Tulips are colorful, strong, and vibrant. 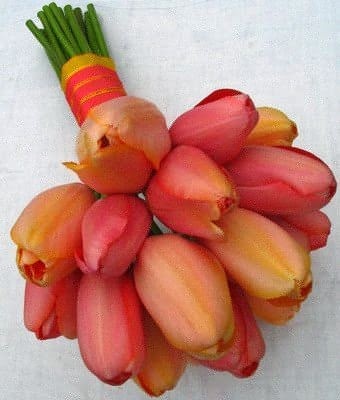 They're perfect for pageant-style bouquets or designs where good sturdy stems are needed. They also make excellent choices in other arrangements and centerpieces. Meaning "love and passion" they'll certainly make the right statement for your wedding! 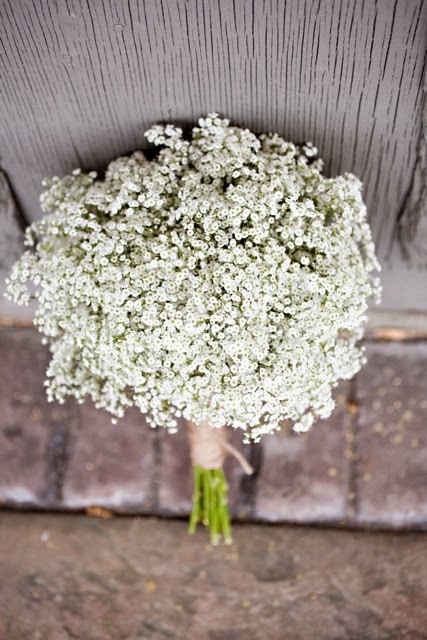 One of the most popular fillers for most all floral arrangements, baby's breath is sweet, simple, and adds softness where you need it. 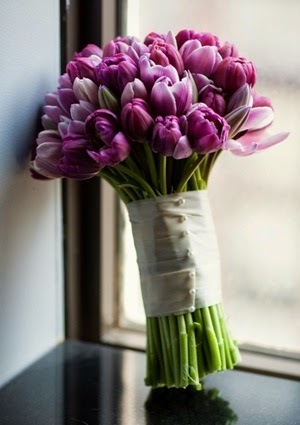 They're not overly fragrant, so they won't interfere with your other bouquet choices. They're meaning of "innocence" is so fitting considering their name and appearance. 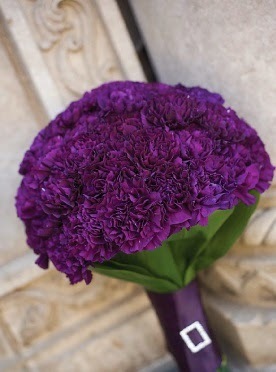 It makes a great addition to your overall theme or meaning with your bouquet. The great news about today's weddings is that almost anything goes! If you enjoy conventional customs and wish to stick with the old traditions, then you have a lot to choose from! Whether it is your bouquet, your dress, your ceremony proceedings, or how you celebrate at your reception, the old practices still hold true. You can piece together the sweetest statement with your wedding bouquet and save a lot of money by choosing flowers that are in-season. However these days you can pretty much create the bouquet of your choice, and anything else regarding your wedding for that matter. It's unlikely there will be a floral expert there waiting to calculate each flower in your bouquet and make sure it's appropriate. So, choose what you like! But if you do enjoy adding meaning to your choices, enjoy the sweet notions you have to choose from. 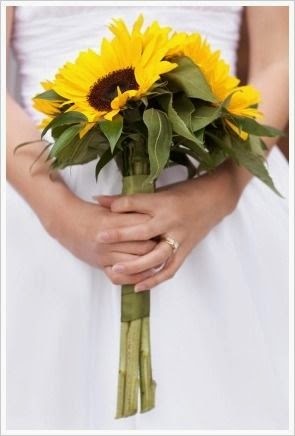 After all, the wedding bouquet is a tradition in itself.